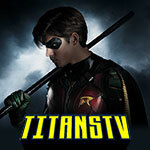 Preview clips for the Arrow episode "The Devil's Greatest Trick"
The CW doesn’t seem to have put a clip on their YouTube channel yet but there is a clip from tonight’s new episode of Arrow via ScreenRant. The clip features a flashback between Cayden James (Michael Emerson) and his son, Owen. We’ll let you know if another clip from “The Devil’s Greatest Trick” comes out but here’s a start, at least! 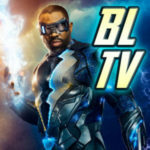 UPDATE: Yes, The CW has released another clip — this one featuring Green Arrow and Spartan having a video chat with Cayden James. You can find that one below as well. A description and preview images can be found below. Arrow -- "The Devil's Greatest Trick" -- Image Number: AR613a_0016.jpg -- Pictured (L-R): Echo Kellum as Curtis Holt/Mr. 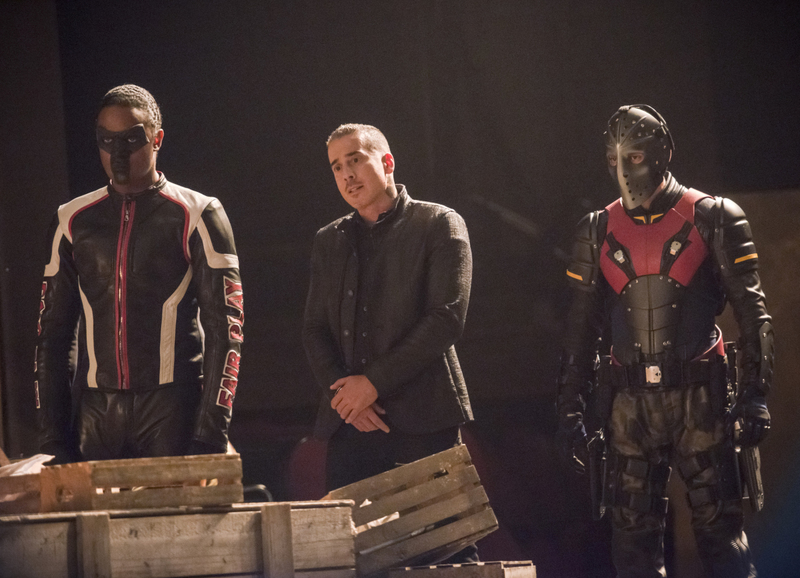 Terrific, Kirk Acevedo as Ricardo Diaz and Rick Gonzalez as Rene Ramirez/Wild Dog -- Photo: Diyah Pera/The CW -- ÃÂ© 2018 The CW Network, LLC. All Rights reserved.